Young teen sleeps with her phone under her pillow and wakes to smoke as smoldering cell phone starts a fire! This is what happened to one teen. The picture shows the damage caused by the phone to the teen’s pillow. This was something that they sure did not expect to wake up to. Can you imagine this situation happening to you! The whole phone melted,” her father, Thomas, added. “The plastic, the glass. You can’t even really tell that it was a phone”. There is not much left of this phone. The family is thankful it is just a damaged pillow and not a lot more serious! The family contacted the news, and then Samsung, who pointed out that the battery inside the phone was in fact a replacement and not an original Samsung unit. They also pointed out that the phone’s user guide advises against such an action, noting that covering a device with bedding or other material can restrict airflow and start a fire. Who reads the instructions or the warnings that come with the phone. We are generally so excited to use our new phones that we ignore all of these instructions. The Tolfrees, though, did not read that warning. (And let’s be honest – when’s the last time you read through the complete instructions to any electronic device you purchased?) “If anything, they should put a big warning on it, like a cigarette label, if that’s the case,” Thomas said. Samsung has requested the burnt phone be sent to them for a post-mortem, and they are providing the Tolfrees with a replacement device, as well as fresh bedding and a new mattress and pillow. Looks like the Phone Fairy came after all. This is a story that could have been much worse. Both the family as well as Samsung are really lucky that they did not have to deal with something much worse than what happened. In a related story, many people are also losing sleep because they take their cell phones to bed with them. They want to stay in touch. If someone sends them a message in the middle of the night they can react to the message. Personally the writer takes his phone to bed. It stays on the night table and is used as an alarm clock. The setting for privacy is set from 10pm to 7 pm. There are no beeps or alerts during that time regardless of what messages or alerts come in. We should say that this is common to all cell phones not just Samsung Cell Phones. If your phone does not have a privacy setting, then you are really better off to leave it down stairs away from the bedroom so that you can get a good nights sleep. Too many people are getting up in the morning not rested and not performing well during the day as a result. Teens can be especially affected because they need a lot of sleep as their bodies are adjusting to adulthood. Parents you may want to speak with your teens or remove the phone at night so that they can get the sleep they need to have. Even school results can be impacted due to lack of sleep. For more information about cell phone safety and cell phone insurance, click here. In our last post we talked about, “Cell Phone Insurance – Do you need it?”. This post discusses when to Buy Cell Phone Insurance and what situations might justify spending the extra money on cell phone insurance. For the majority of people we believe that cell phone insurance is expensive and not worth the money. The amount of money you would need to spend to replace it is not a huge amount so why waste money on cell phone insurance? Consumers who travel a lot and have a tendency to misplace things might be candidates. Business people who work on construction sites and could easily lose their cell phone. If it is lost on a construction site, it will either be lost in the mud, crushed by something going over it or just disappear down a hole somewhere. If you have a tendency to lay your cell phone down were it could easily disappear you might also want cell phone insurance. People who get a cell phone through their business and use it for both business needs and personal needs usually can get their cell phones replaced at no charge, provided that it does not become a habit. Most companies have negotiated free cell phone replacements based on the total business that they do with the cell phone providers. If you are a small business and provide cell phones for people in your company, carrying cell phone insurance is not a good idea either due to the high cost inf insurance. It is easier to split the cost of a replacement with your employee or the cell phone provider than pay for insurance for cell phones. One additional point we would like to remind people when they are doing these calculations and making a decision is whether the insurance is tax deductible or not. Depending on your tax situation, claiming this insurance as an expense reduces the overall cost of the insurance, which just make it more palatable. Always read the fine print in a cell phone insurance coverage package. Will you receive a new phone or a refurbished phone which is essentially a used phone that someone else had? How long will it take to get a new phone to you? Days or weeks? What is the reputation of the insurance provider? Do they have a good reputation for paying on time and / or replacing cell phones quickly? What is the deductible. If it is $50, which means you pay the first $50. Is it really worthwhile to purchase cell phone insurance? Everyone will feel differently about the answers to these questions and will make up their mines as to whether they want to go ahead with cell phone insurance. We believe that it is just not worth it based on all of these issues. Some consumers like to replace their phones every year. They want the latest and greatest that is on the market. They are willing to pay for the newest phone. These consumers probably would not benefit from cell phone insurance. If they do lose their phone they do not want a replacement with the same phone. They will want another phone that is the newest release and may even change models. If you keep your phone for a long time it is worth doing a simple calculation. Calculate how long it would take to pay for your cell phone replacement with your insurance. For example if you purchase another phone it will cost you $150 to replace the phone you have. The insurance is $5 per month, then it is going to cost $150 divided by $5 or 30 months which is 2.5 years. In other words based on this example, you can afford to purchase a new phone every 2.5 years if you avoid paying the cell phone insurance coverage. Every phone will be different in terms of cost and insurance, so take a moment to do your own calculations to see if it makes sense for your situation. Let us know if you found this post helpful. Well written comments will be approved even with links back to your own web site. For more information about cell phone reviews, click here. Cell Phone Insurance – Do you need it? Every electronics store tries to sell you insurance for your new cell phone. In fact they try to sell insurance for just about everything you purchase these days and we were wondering if it is worth it? The consensus is that you should not purchase cell phone insurance, or for that matter any other insurance for electronics. There are a number of reasons for believing that this is the right approach and there are a number of situations were you may decide to go ahead an purchase cell phone insurance. We will try to cover these situations in this post and the next one, When to buy cell phone insurance. It will be out in two weeks time so come back to our web site to see the next post. Cell phone insurance to begin with is expensive compared to the cost of most cell phones unless you have an expensive PDA or smart phone. It can cost as much as 4 or $5 a month for some phones, which comes to $48 or $60 a year. I do not know about you, but I can use that money elsewhere! If you do lose your phone, you may have to go to the phone store and purchase another one at full price. However depending on your usage, your cell phone provider may partially compensate you for a new phone. Heavy users can get almost any phone they want any time due to the high fee’s they pay. Some cell phone providers automatically provide a free credit towards your next phone after one year so depending on when you lose it you may pay less than you expect. Depending on the type of credit card you have, your cell phone may be covered on your credit cards insurance. Usually they extend the manufacturers insurance by one year. They also cover lost or stolen items as well. It depends on the type of card you have. You must charge the cost of the cell phone to your credit card for the insurance to be active. One thing we learned about out credit card is that it only extends the manufacturers warranty for the item, in this case your cell phone. If you purchase extended insurance from the store for your cell phone, you are actually covered twice, if your credit card also provides coverage. In this case it makes no sense at all to purchase an extended warranty! We really do not know what the probability is. However I am sure you know of or have heard of people losing their cell phones. In 30 years we have never lost one and none of my friends have ever lost a cell phone. Electronics are so dependable these days that they virtually never fail unless you keep them for a very long time. They either work well right out of the box or not at all. So it is pretty easy to tell if you need your cell phone replaced under warranty. We just do not think it makes financial sense to purchase cell phone insurance and pay the extra fees that are involved. This applies by the way to all other electronics as well . Save your money to spend on other things. We can all use extra money these days and this is a way to save some money. In our next post we will examine a few situations were you might actually consider purchasing cell phone insurance. Also what the fine print can say and deductibles that might be an issue for some people. We will have it out in two weeks time on this web site. Stay tuned! Is It Safe to Use Cellphones? This is a re-post of an article, which we felt would be interesting to many readers. Is It Safe to Use Cellphones? Bottom line is, manage and limit your use of cell phones until the experts finally can come to a conclusion. Remember they said that cigarettes would not cause cancer and now it is a proven fact! Everyone is protecting their positions and avoiding admitting any obligation because of the money involved. OTTAWA-Devra Davis recalls the moment six years ago when the seeds of her cellphone safety campaign were laid. She was visiting her son and daughter-in-law, enjoying the sight of her grandson crawling on the floor. At one point he encountered a cellphone, reached for it and put it to his head. For most people such precocious conduct would earn an indulgent smile. The shriek — perhaps an overreaction — was based on the American epidemiologist and toxicologist’s growing knowledge of the dangers of cellphone radiation. That awareness has in recent years made Davis one of the foremost critics of the phone-making industry. She believes cellphone radiation is a pending public health crisis that, if not checked, will see a surge in brain cancers within the next decade. Davis, who worked for many years at the United States National Academy for Sciences, where she founded the Board on Environmental Studies and Toxicology, and, more recently, was director of the Center for Environmental Oncology at the University of Pittsburgh’s Cancer Institute, will be in Ottawa today to give a public lecture on the effects of cellphones on the human brain, male fertility and, arguably, cognitive function. The lecture, scheduled for 7:30 p.m. at the Congregation Machzikei Hadas synagogue on Virginia Drive, is jointly sponsored by Prevent Cancer Now and the Ottawa Regional Cancer Foundation. Davis, who has established the Environmental Health Trust, a non-profit organization that researches public health issues, acknowledges that cellphones already come with warnings that say users shouldn’t hold them on their bodies or next to their heads. But she points out that those warnings are buried deep in the fine print and, besides, people only find the warning after they’ve purchased the gadget. What’s needed, says Davis, is legislation requiring advisory labels on cellphones and in stores warning about the effects of long-term radiation exposure. Coincidently, New Democratic MPP France Gélinas early this month proposed exactly that in a private member’s bill in the Ontario legislature. The would-be legislation flies in the face of claims by Health Canada, which sets the standards on cellphone safety, that Canadians need have no concerns about using the instrument. To be sure, Davis admits that “the majority of human studies of cellphones and brain cancer find nothing.” But that, she says, is largely because of the limitations of studies themselves. Brain cancer can take 40 years to develop after the first exposure to radiation, Davis says. All of the human studies of which she’s aware, including the Interphone study done a few years ago by the World Health Organization, only collected data on people who’d developed brain tumours between 2002 and 2004. It also defined a cellphone user as someone who made one call a week for six months. Even so, the WHO study concluded someone who used a cellphone for half-an-hour every day for 10 years had double the risk of developing giloma, a form of tumour that grows on the side of the head where the cellphone is commonly placed. Davis argues that such assumptions about cellphone use are clearly inadequate considering the ubiquity of the gadget and the fact that many people, including children and teenagers, use their cellphones every day for hours on end. A cellphone is basically a two-wave microwave radio that operates at the same frequency as a microwave oven. Digital signals are sent and received by antennas of the backs of the instruments. Nowadays, most everyone is exposed to cellphone radiation; worldwide cellphone subscriptions are in the five billion range. Davis is particularly concerned about children’s use of cellphones. The depth of cellphone radiation penetration into the brain largely depends on the age and health of the person. Children are more vulnerable than adults because their skulls are thinner, allowing digital signals to penetrate deeper. They also have more fluid in the brains; the more fluid the easier the transmission of microwave radiation. But, as Davis points out, industry safety standards for cellphones are based now obsolete analog phones used about six minutes at a time by a user who was assumed to by a six-foot-two-inch man weighing some 200 pounds and with an 11-pound head — not toddlers or tweens, who, as it seems, are perpetually attached to their gadgets and, hence, to constant low doses of microwave radiation. Microwaves were long thought to be benign since as a type of non-ionizing radiation they weren’t sufficiently strong to removed electrons from atoms. Nevertheless, recent experiments suggest microwaves can do damage at the cellular level. Similarly, studies on rats suggest a connection between exposure to cellphone radiation and mental functioning. Rats trained to find their way through a maze to a food source suddenly lose this ability — “they can’t find their way back to the food,” as Davis puts it — after prolonged exposure to cellphone radiation. That, she says, suggests their memory was affected by the radiation. When talking try to keep your cellphone away from your body as much as possible. Store it in a backpack, purse or satchel. Use a speaker phone or a wired headset (but don’t make the mistake of having the phone on your body, which defeats the point of using the headset). If you must carry it on your belt, turn the keypad toward your body so the antenna, in the back of the gadget, faces away from you, thus lessening the radiation dosage you receive. Keep your cellphone away from you when you sleep. Don’t place it next to the bed or under the pillow. When you don’t need it, turn it off, or at least place in airplane mode. Pregnant women should avoid having a cellphone near their abdomen. Encourage children to text rather than talk on a cellphone. In any case, children should only use a cellphone next to their heads in emergencies. Don’t use a cellphone for conversations lasting more than a few minutes. Switch sides in which you use a cellphone to spread out your exposure. Much has been written about the potential impact of radiation from cell phones. This includes the impact it may have on your health. The concerns range from cancer to overall health impacts if you use your cell phone too much. We thought we would take a different approach to dealing with the issue. We follow a philosophy that is common to many issues. Too much of a good thing can be harmful to your health. This applies to foods, the sun, and tobacco and on and on. Cell phones and their use may or may not impact us negatively, but why take the chance. We all know people who are practically glued to their cell phones all of their working day or perhaps they are wearing the new blue tooth devices which fit into their ears. Even these devices which provide hands free service and are much safer to use compared to holding your cell phone while driving a car, also contribute some radiation. If you need to use your cell phone for work and use it a lot, you could be susceptible to potential health problems. If you are a teen and love to talk on the phone you could also be susceptible to a potential health issue. We know that you cannot just stop using your phone. They have become a necessary part of our lives and we cannot live without them. So what are we to do if we are also concerned about our health? The common Sense approach is just that. Let’s face it we are never really going to find out if cell phones are harmful. Look at the tobacco industry. It took over 50 years for people to realize the impacts on their health. It may or may not be the same for cell phones, but why take the chance. So let’s assume that they are harmful or will be harmful to our health over a long period of time. If you knew this to be true what would you change how you use your cell phone? Maybe. Would you stop using your phone? Not likely! Would you use your phone less? Perhaps for a while, but then you would fall back into your old habits. What is needed is a few ideas that you can use to control not only how much you use your phone but where you place your phone to decrease the amount of radiation that is absorbed by your brain. If we apply this approach, we think that you can dramatically decrease the radiation that you are exposed to. Remember that we really do not care if the radiation is harmful or not, we just do not want to find out ten years from now that all of the experts were wrong and pay for it with a brain tumor etc. A few basic facts about cell phones will help us understand what we can do to help ourselves. All phones are engineered to not go beyond a preset level of radiation as determined by the industry and the government. So there is a maximum power level they cannot go beyond. This is supposed to be a healthy level that will not adversely affect us. As you go further away from a cellular tower, the phone must radiate more power to maintain a telephone call or a data connection. The closer you are to the tower, the lower the power level will be. The radiation emanating from the phones and penetrating your brain decreases by the square of the distance from your head. This is very important in managing the radiation levels that you are exposed to, as are all of the other facts that are mentioned in this section. The message is to find ways to decrease the amount of radiation you are exposed to without having to use your phone less than you are, since it has become an important tool in your life. In listing the following ideas, we recognize that not all are practical for all situations or people in their daily work activities. Select those that make sense for you in your situation! If your cell phones battery feels warm you have probably been talking too long. Use a phone that is rated as having a lower emission level, check the FCC website. Even if you hold your phone one inch away from your head you are decreasing the radiation that penetrates to your brain. Most people will still be able to hear the person on the other end quite easily with the phone held away from your ear. These are a few basic steps you can take to manage and decrease the radiation penetrating your brain. Following them and getting into the habit of using your cell phone in this manner will not limit your flexibility and efficiency, but it will decrease the probability of being damaged by this radiation. Remember we are not saying that the cell phone will cause health issues, we are just saying that why do you want to take the chance? Cell phones have really not been around long enough for anyone to know and some people might be more susceptible than others. Who really knows? Follow some or all of the above suggestions to decrease the radiation that penetrates your brain. Why wait for the experts to finally know, take matters into your own hands. If you know of other ideas, please feel free to add them in our comments section! 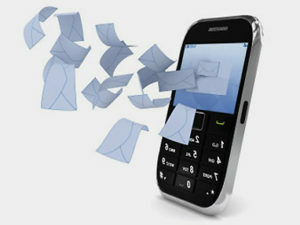 For more information about cell phone insurance and other related issues, click here.